The ocean is our livelihood, let’s unite to protect it. West African oceans are a treasure that we need to protect. Globally, seas are being emptied, and due to illegal and overfishing, livelihoods and food security are under threat. Many species of fish are no longer to be seen in these waters. Now is the time to act. Speak up with a unified voice for our oceans. The lack of solid and regional fisheries management in West Africa leaves loopholes for European fleets to continue to deplete West African oceans. At the same time, China’s distant water fleets operating in West Africa are repeating the same catastrophic mistakes that have left their own waters empty. 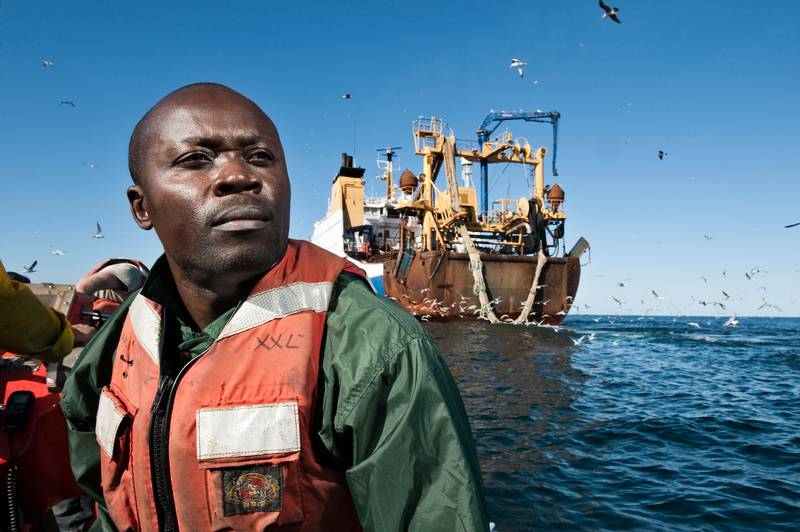 Over the years, Greenpeace Africa exposed illegal fishing in West African waters. We worked with governments to reinforce capacity to better surveille their oceans. We know what must be done. It’s time to scale up support, and call for an effective, transparent and more sustainable regional fisheries management system in West Africa. A world that is safe and healthy with vibrant oceans is possible! We can save our oceans, our future. It’s all up to the strength of our voice. Add yours now by signing our pledge. Amplify our message to save our oceans. Support the call for an effective, transparent and more sustainable regional fisheries management system in West Africa. A world that is safe and healthy with vibrant oceans, is possible. And that’s why we are campaigning to end the flow of plastic into our oceans, ensuring stricter measures on overfishing and protecting our endangered marine life. You can also be part of the change. Watch and share our Hope for West Africa video. 3 A world that is safe and healthy with vibrant oceans is possible!